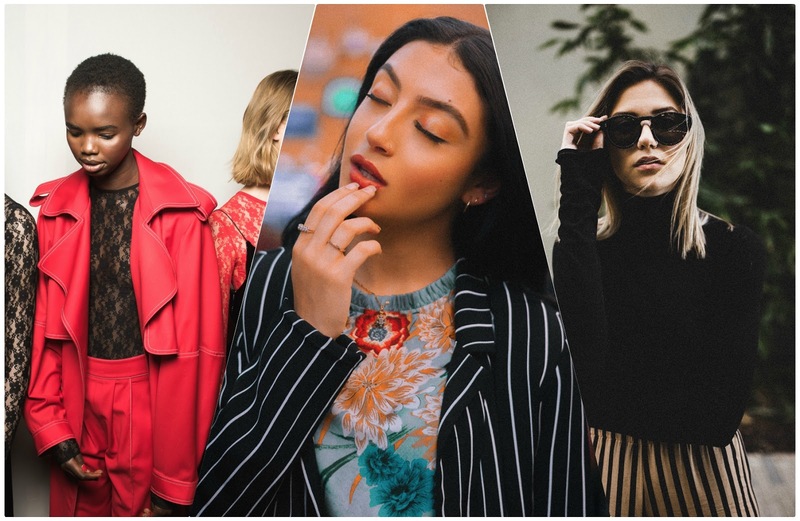 There is something incredibly alluring about a woman taking over menswear, either literally or as an inspiration, and the latest collections from prominent designers have made sure we ladies have plenty of choices when it comes to masculinizing-up our style and being the lady bosses who don’t always wear frilly skirts and cute dresses. Watch out boys, women are coming. Marc Jacobs, Stella McCartney, Tom Ford and all other designers who provided us with their own rendition of the power suit – thank you. 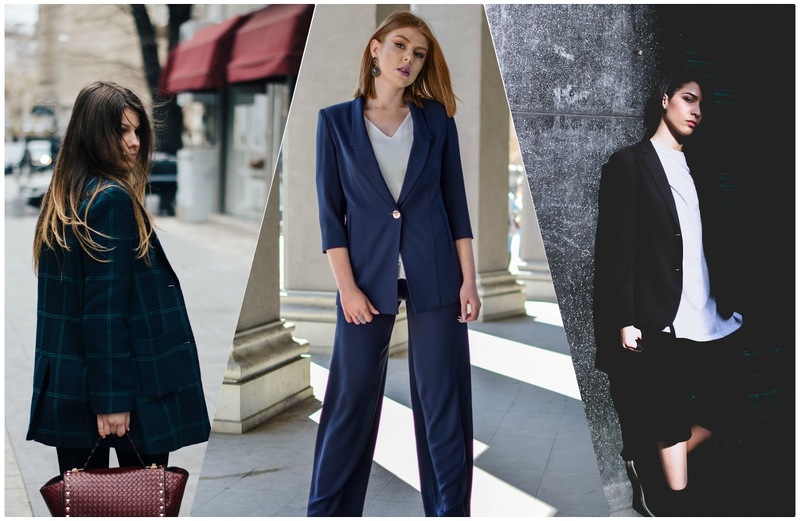 While some of the pantsuits of today may be fitted and feminine, which is also completely fine, we feel more inclined towards those oversized ones with double-breasted blazers and wide-leg pants. They exude the kind of nonchalance that almost reminds us of Annie Hall, and if we want to, we can even wear a tie. 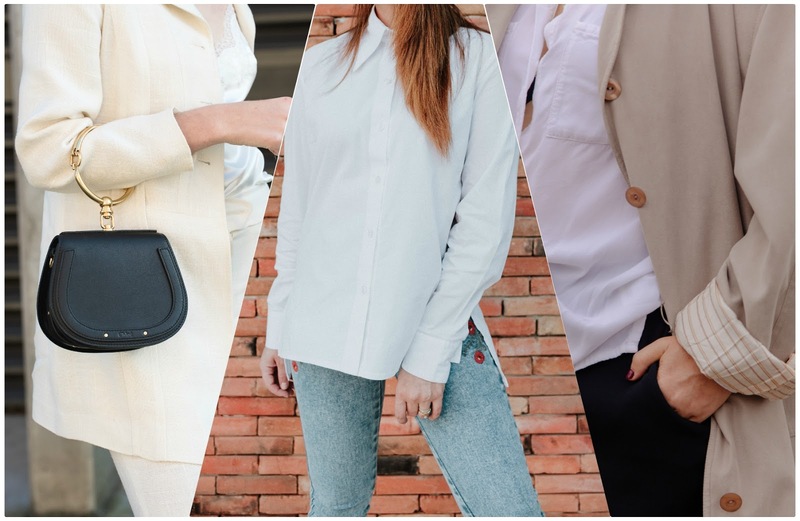 Now, in order not to look completely masculine – we are proud to be women after all, let’s put on a pair of patent-leather pumps, grab our totes and go conquer the day – ladyboss style. Well, that’s how the song goes, but we don’t have to go that far. For this next look, we will need either an oversized women’s crisp white shirt or a man’s regular one. We will be leaving the long sleeves be, as we want to accomplish a look of slight slouchy-ness. We will tuck in only one half of the front side of the shirt and leave the other half out. We will also be resorting to a killer pair of boyfriend jeans – the wider the better. In addition to that, we will wear a pair of flat brown oxford shoes and roll up the jeans just a bit. Now, for a touch of that nonchalant femininity, which goes perfectly with all the masculine elements we have going on, we will finalize the look with a semi round crossbody bag and just one size too big trench coat in a classic camel hue, which we will leave unbuttoned to show off our outfit. Simple isn’t it? We women love our culottes, especially when we get to wear them with an incredible pair of ankle boots, preferably black ones for simplicity and unmatchable chicness. Now, with that pair of culottes we can choose to wear the most feminine puff-sleeve blouse, perhaps even something with tiny polka-dots. But where is the masculine element? Well, first of all, culottes are wide, hence, draw inspiration from menswear, and secondly, the look isn’t finished there. To top things off, we will be resorting to one of your suit vests – of course, we’ll use the back part of the vest to adjust the width, as to emphasize our waists and there it is – the perfect mixture of our clothes and yours, dear fellas. 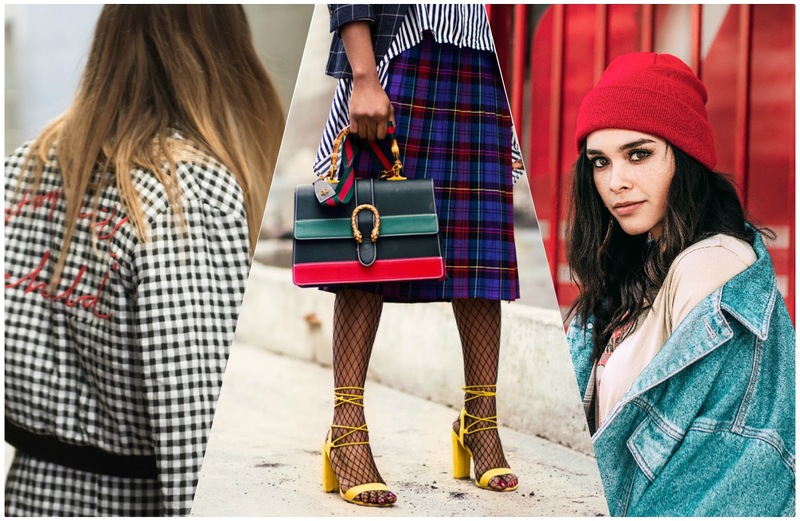 Yes, we do love our plaid skirts and we will not be giving them up. However, on any given day a woman is likely to steal her boyfriend’s or husband’s favorite grey hoodie, so why not do it today, or on a regular Saturday when you feel like looking great but also comfortable and just a little masculine. The hoodie will make you look even more petit and add unexpected elegance and charm to your look, and if you finish the look off with a white pair of tennis shoes, you’ll have the perfect semi-femme casual outfit that you can rock anywhere – except the office, unfortunately. We have a firm belief that we haven’t met a woman who was not completely head over heels over the double-breasted super-sized grey plaid blazer. Probably every woman in the world has one of those, and do you know what they go amazingly well with? You guessed it – an oversized simple grey tee. You can leave it loose or slightly tuck it into your skinny jeans – black is a great choice and then seal the deal with chunky, lace-up, mid-calf army boots. Make sure your bag is structured, black and simple, slick your hair back, wear minimal makeup and own your masculine side totally. 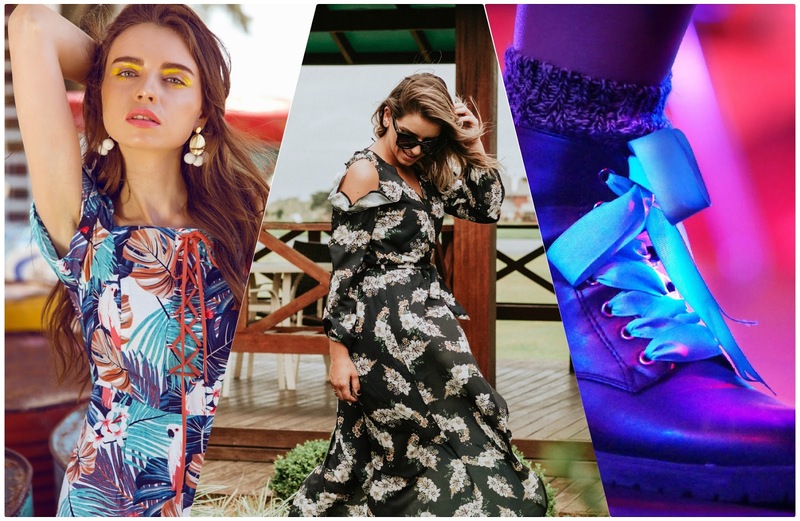 If you want to wear a murky floral dress but think it will be just a little too feminine, and that’s simply not the look you’re going for that particular day, the solution is simple. Clunky boots are your number one tool. The second tool, which you might have to snag from a boyfriend, husband or a male friend – that perfect dark grey or black coat. It will give the femininity of the dress just the right balance as the wide shoulders hang over yours and the long sleeves hide your hands just a little. Bring the balance back with a cute black semi-round shoulder bag and assert your femininity with a red lip, and you’re done. Cute, yet fierce. We certainly hope we have given you some food for thought and that instead of spending money on masculine items, sometimes you can ‘borrow’ a few from the actual men in your life – simplify your look and save your wallet on the way. 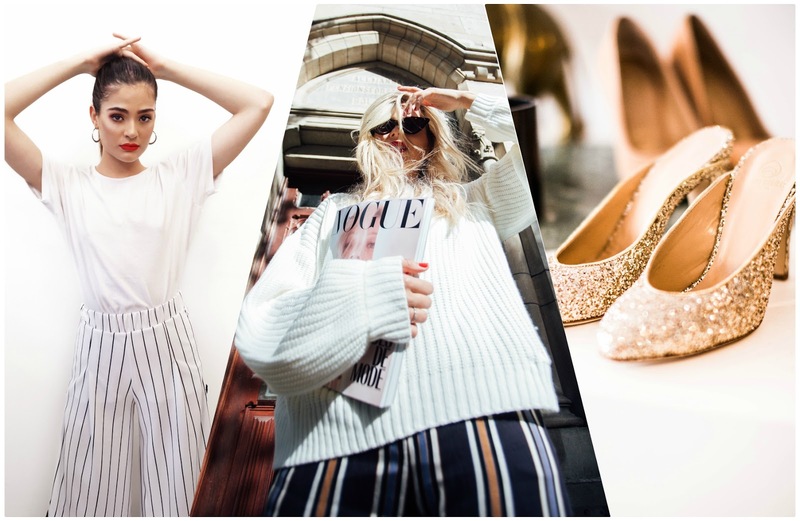 Sophia Smith is beauty and style blogger, an eco-lifestyle lover, graphic designer and a DIY enthusiast. She is very passionate about natural skincare, minimalist wardrobe, yoga and mindful living. Sophia writes mostly about beauty-related topics in her articles. She is a beauty editor at High Style Life, but beside that she has contributed to a number of publications including: Eco Warrior Princess, Viva Glam Magazine, Just Haves, How to Simplify and Carousel.